Melt the butter over low heat and cook chicken for 3-4 minutes or until white.Add the onion, garlic and few leaves of tarragon and cook a further 5 minutes. Add stock and salt and pepper to taste and bring to the boil over medium heat, then reduce and simmer until chicken is cooked and liquid is reduced by at least half. 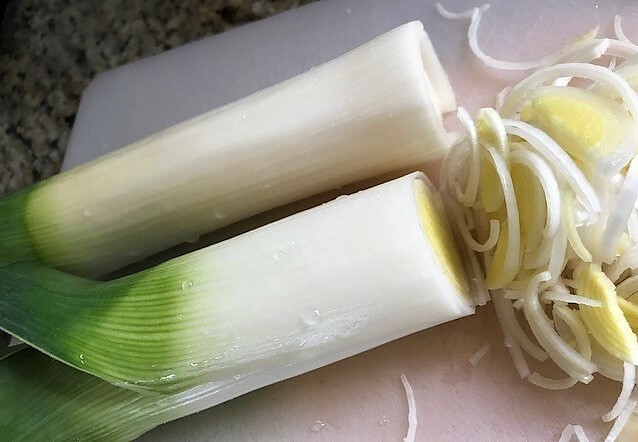 Meanwhile cook sliced leeks in a bot of boiling salted water for a few minutes until tender. Drain and set aside. Add the cream to the chicken mix and bring to the boil over medium heat. Simmer until you reach a thick sauce consistency. Add the leeks and a squeeze of lemon juice and set aside to cool. That sounds really yummy. I love cooking and obviously eating the end result. 🙂 Might have to cook it for my parents when we see them next month. No we are back in NZ for 3 weeks. They no longer travel. Wow! This looks delicious. I’ll save it on Flipboard! 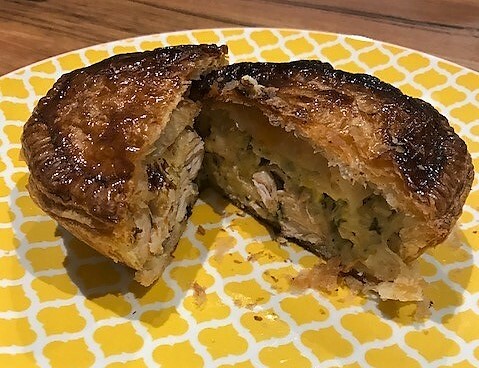 Chicken pie is a big favourite in my family (my recipe is a version of Jamie Oliver’s turkey & leek pie) but I’ve never tried it with the double crust. I’m definitely using your recipe next time I make it because there’s never enough pastry! Jamie Oliver has some great recipes Ruth. 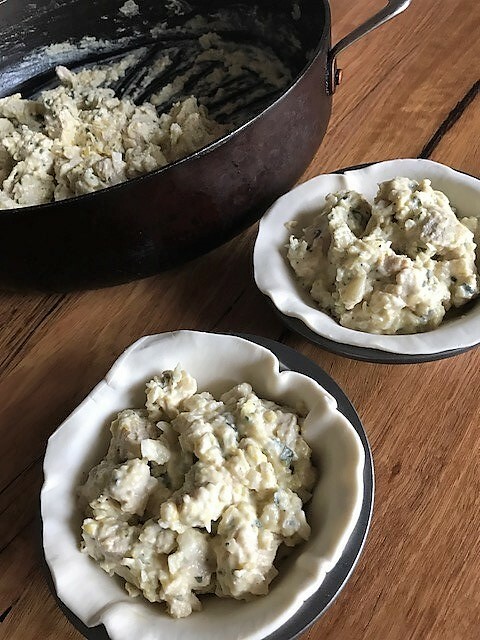 Love chicken and leek, thank you so much for sharing! It looks absolutely yummy. Yum, I love chicken with tarragon, and I love leeks. Together, it sounds divine. I worship at the altar of all things pie and this one has me licking my screen! That looks mouthwatering, I am hungry now. This sounds really good! I love Australian pies. There is a cafe close to my house that sells them. Let’s say I have eaten too many. I think it is time to try my own version. Thanks for sharing the recipe. The pie looks very good. I can try it when I get home. My daughter and her husband are vegetarians and my daughter is on dairy-free diet. So I’m looking for recipe I could use to cook for them during these 3-week stay. wonderful, you too have a good one!